This poem, Choose, a Poem of Him, is found on page 4 in my book, Beyond these Dark Lands Are Edges Of Joy, Words of Comfort and Hope. The title, Choose, a Poem of Him, was not easy to decide on. It gives away too much too early. Obviously, the poem is about choosing someone over things. You have to read it to know who it is and what the things are. Words of comfort and Hope. This poem is written in a free-verse style. It is short, only twenty-one lines. The lines 1,4, and 7 are one-word lines, the word "reject." They are each followed by a statement of three things to reject, which are related to isolating yourself. Lines 12, 16 and 18 Mirror the first half by again using only one word, the word, "accept" which is followed by a description of the presence of God in His Spirit. This poem uses the comparison contrast method to say that we must refuse to withdraw from God and His compassion, and accept His presence. I struggle with depression and I know that there are times when you just want to go away and be closed off to others and God. So for me, I must remember to avoid this unhealthy activity. This is where the title makes sense because to reject one thing and accept another is a matter of choice. It is, at least for me, the foundation of other healthy activities. Like all the poems in this collection, I drew an illustration. I know illustrating your own poems is amateur but friends encouraged me to include my art. 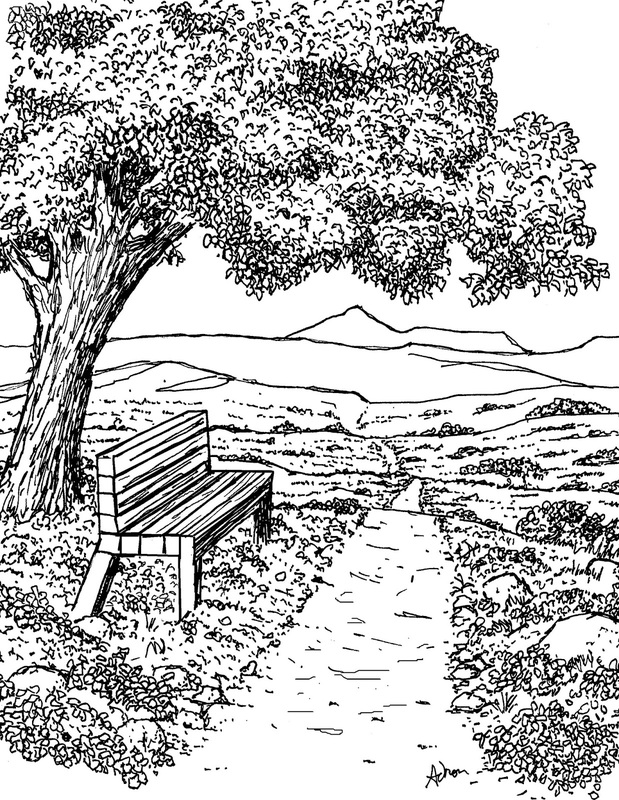 The illustration is of a road leading past a tree with a bench in its shade. 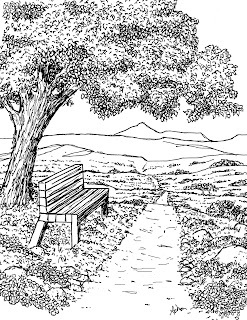 The bench is big enough for two, this is to suggest that you would sit there with a companion. It is a representation of communion with God. This poem helps you to see that there are still some choices available during your difficult time and one of those choices is to choose to accept God's love and comfort. You can read this poem on page 4 of the book. If you would like to read a sample poem choose the link below for the website.